When it comes to web hosting, many web hosting customers often share the same systems. Numerous websites are stored in the same drive, processed by the same CPU and also delivered by the same server. 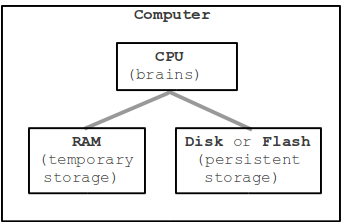 CPU, RAM and database connections are the three items that are categorized as “resources”, when you consider web hosts. As all resources are limited, the provider needs to ensure that they are thematically allocated. If one website uses all the resources, it has a negative impact on the overall performance of other sites. This is the reason why there are usage limits for RAM, CPU, entry processes or inodes for every individual. In this blog, we discuss when you need to consider increasing the limit of the three important resources, i.e., CPU, RAM and database connections. The CPU of the web server is necessary to acquire and deliver the web pages to the visitors. Dynamic web pages that are created by a script require more CPU power as the script requires more CPU cycles to carry out processes such as obtain page-specific data from the database, and execute flash or any other modules installed on the page. Web hosts monitor the amount of CPU used by a site on a shared web hosting plans so that a single website doesn’t use too much CPU time and affect other websites. You rent a certain amount of disk space from a web host. Many web hosts let you know the amount of disk space allocated to your site. The host’s RAM unlike the ROM (disk space) is not permanent; it is the temporary memory your website needs in order to execute scripts and data. Web hosts decide the memory usage because if there are huge scripts, they will be struggling to use a limited pool of memory shared by all sites and programs. Web hosts store dynamic website data in special database servers on the web host. A database server accepts a limited amount of connections at one time. When there are too many requests for data database connections run short of resources, and are unable to process the request. Those are not the only limited resources a web host possesses. Inodes, add-on domains, SSH limits, connection limitations also factor in quite heavily. Should you wish to learn more about shared or dedicated web hosting, feel free to get in touch with us for a no-obligation free consultation. We will be happy to help.